I'm doubtful that we need FiveM at all right now. Most of what we do in events are jobs, races etc. Even for more complex stunts we have people spawn stuff for us, so sure there's a risk but it's worked like that for years and unless it becomes truly impossible we won't change our habits. Having a FiveM server would be a waste of money. 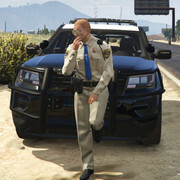 (10-15-2017, 06:29 PM)Neaksy Wrote: I'm doubtful that we need FiveM at all right now. Most of what we do in events are jobs, races etc. Even for more complex stunts we have people spawn stuff for us, so sure there's a risk but it's worked like that for years and unless it becomes truly impossible we won't change our habits. Having a FiveM server would be a waste of money.